Whether it’s a birthday party, or a corporate event or an intimate small engagement party, we have the perfect party venue in Ringwood, Melbourne. We have spacious wedding function rooms in Ringwood that accommodate groups both large and small. Our trained and skilled team of professionals ensures everything is in the place to make your special occasion a success. With our beautiful and spacious party rooms in Ringwood, there will be no Over-Crowding. Our function venue has enough room for up to 280 guests. We offer our venue for birthdays, weddings, christenings and family gatherings. Our venue is also available for Christmas parties, corporate functions and luncheons. From our different food and drink packages, you can select any package that suits your budget, your occasion and your requirements. To make your function a success, we offer an extensive and delectable menu that caters to your unique event requirements. We also cater kids’ parties and help organise charity events for your school or club. We customise our menu to suit your guest’s taste, eating requirements and your budget. We serve authentic Greek cuisine with countless options for both vegetarian and non-vegetarians. We serve chicken, lamb, fish, calamari, Souvlaki, mushrooms, vegetables cooked in the Greek style and an assortment of salad, dips and side dishes. Depending your requirements, we can also arrange for live music to make your event memorable. With no room hire fee and an exquisite food and beverage options, we offer you exclusive private spaces. 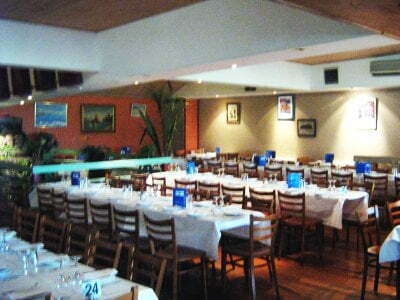 Nikos Tavern is the perfect location for your next event or wedding function room requirement.